We created a movie with the help of our Friends at We Are 17 to illustrate the beautifully simple idea that CO2 is part of the solution not the problem. The technologies Econic design are highly complex, we created a website that helped cut through this complexity to tell a simple benefit and evidence led story. We discovered a little typographic gift within the logotype. A gift that represents the ‘circular’ sustainability of what they do. Econic was founded in 2011 to capitalise on and commercialise novel, and now patented, catalyst technologies and their application within the plastics industry. In its short life it has made significant progress in proving its application potential, securing sizeable venture funding, and gaining commercial interest in its catalyst technology from major players in the sector. Now with 26 scientists (13 with Phd’s) and engineers, the commercial team approached The Allotment to support them with their branding and growth strategy. Econic’s USP is that they are the only low-pressure catalyst system on the market with the capability to add bespoke amounts of CO2 into the polyol backbone. This gives the polyol producers the capability to tune the CO2 content to the specific performance requirements of the end products they produce and in the process reduce their CO2 emissions significantly. Polyols are the building blocks for polyurethane and are used in the production of flexible and rigid foams as well as adhesives, sealants and PU coatings. The main industry end-sectors are the automobile, footwear & apparel, furniture and bedding, appliances and building insulation products. The value of the market is $20 billion and is growing by 5% per annum. Econic has a profound and exciting purpose, which will have ‘Positive potential’ for the plastics industry as well as the world we live in. They have developed ‘disruptive’ technologies that will deliver significant commercial and environmental gain to our planet and to their potential customers. And yet it was clear that the current Econic brand did not communicate this compelling purpose – it felt somewhat academic and experimental rather than commercially relevant and inspirational. Our challenge was to bring clarity to the ‘potential’ of the business. We began the process with an in-depth discovery phase which captured the main stakeholders views and opinions of the business and their opportunity. From these comments we found an amazing drive and passion for the positive purpose of the business – to turn CO2 waste into something useful and valuable. 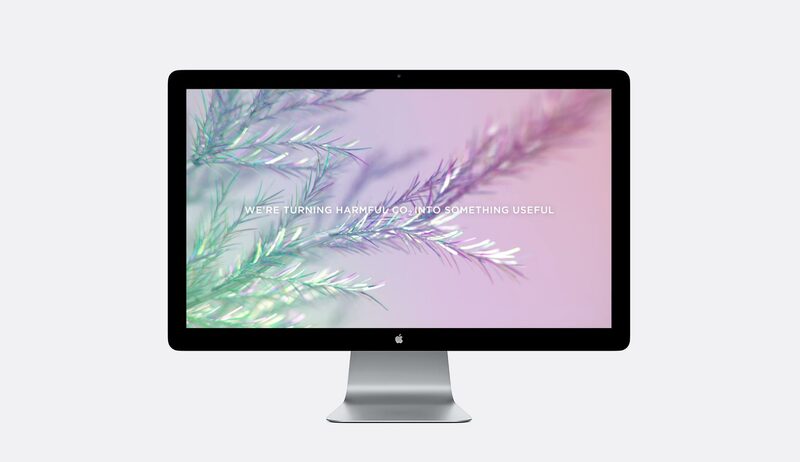 We saw this transformative idea of turning something ‘harmful into something good’ as the inspiration for the creative brand development. 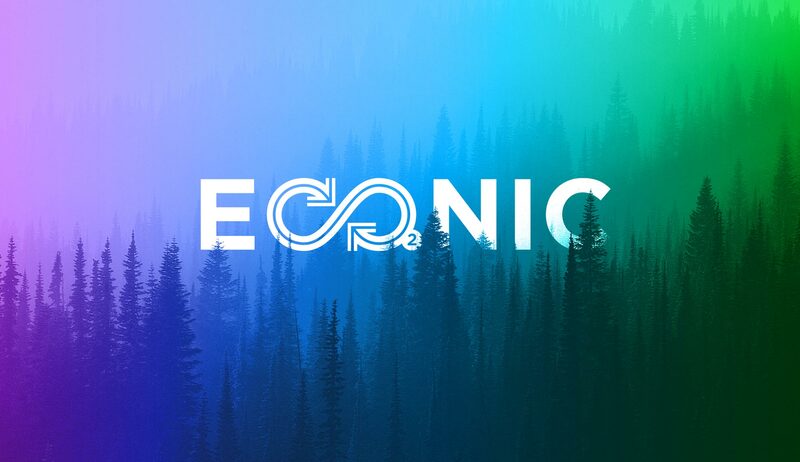 We wanted to show Econic as a catalyst for positive change and potential. 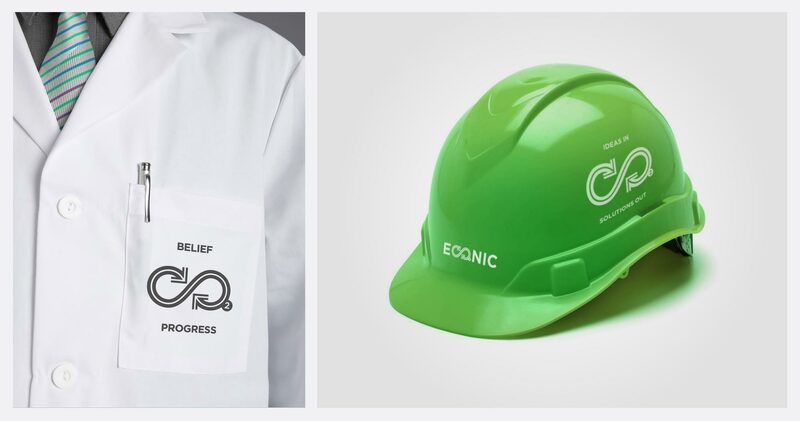 Our work involved the development of a clear brand proposition for Econic, a brand identity that cleverly embedded a mobius symbol in the logo, an animation that illustrated the impact of the business and a website that would globally support their initiative to reach-out to the major polyol suppliers in the world. Since deployment of the new brand the business has gone from strength to strength with new investors on-board and a re-invigoration of ambition and confidence in the team. The world faces huge environmental and economic challenges when trying to solve the problem of what we do with the 1262 million tons of CO2 released into Earth’s atmosphere by human activity every second. For several years Econic have led the field in developing technologies that will contribute to this enormous challenge. Their scientists have developed catalyst technologies for the polyol industry that turn what’s usually seen as a waste by-product into new opportunities and potential for manufacturers and brands around the world. 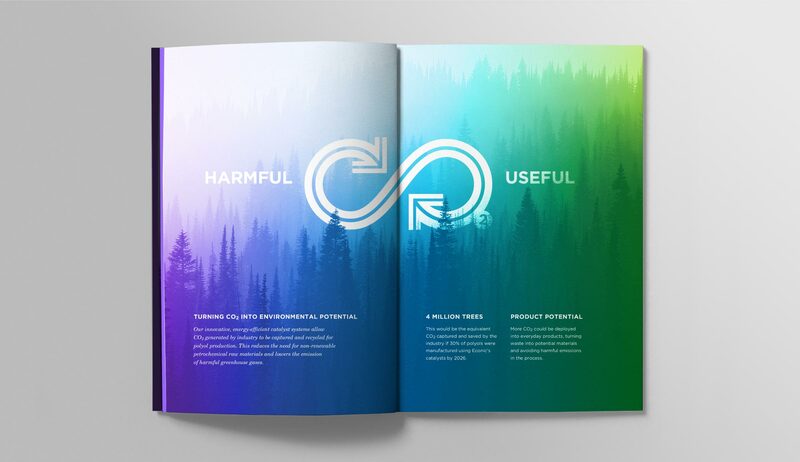 Our task was to capture the essence of Econic, a business that rethinks, redefines and reuses CO2 so it becomes part of the solution, not the problem?